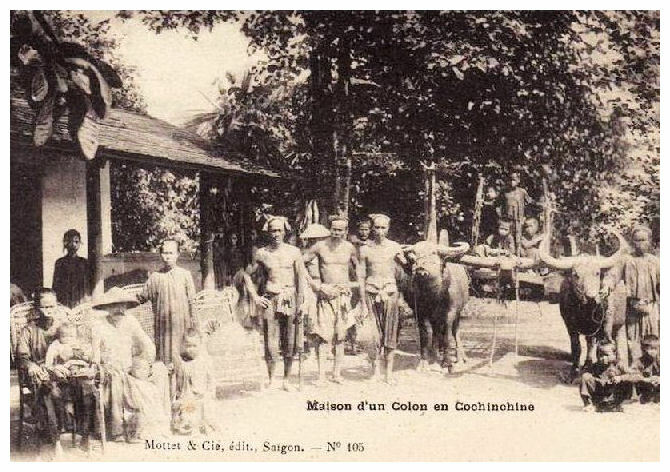 A French colon (settler) and his Vietnamese wife and servants. French colonialism in Vietnam lasted more than six decades. By the late 1880s, the French controlled Vietnam, Laos and Cambodia, which were collectively referred to as Indochine Français (French Indochina). Indochina became one of France’s most lucrative colonial possessions. It was part of a French empire that spanned northern and western Africa, as well as islands in the Caribbean and the Pacific. To justify their imperialism, the French developed their own principle called the mission civilisatrice (or ‘civilising mission’). It was, in effect, a French form of the English ‘white man’s burden’. French imperialists claimed it was their responsibility to colonise undeveloped regions in Africa and Asia, to introduce modern political ideas, social reforms, industrial methods and new technologies. Without European intervention, these places would remain backward, uncivilised and impoverished. The mission civilisatrice was a facade: the real motive for French colonialism was profit and economic exploitation. 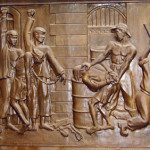 French imperialism was driven by a demand for resources, raw materials and cheap labour. The development of colonised nations was scarcely considered, except where it happened to benefit French interests. In general, French colonialism was more haphazard, expedient and brutal than British colonialism. Paris never designed or promoted a coherent colonial policy in Indochina. So long as it remained in French hands and open to French economic interests, the French government was satisfied. The political management of Indochina was left to a series of governors. Paris sent more than 20 governors to Indochina between 1900 and 1945; each had different attitudes and approaches. French colonial governors, officials and bureaucrats had significant autonomy and authority, so often wielded more power than they ought have. This encouraged self-interest, corruption, venality and heavy-handedness. The Nguyen emperors remained as figureheads but from the late 1800s they exercised little political power. To minimise local resistance, the French employed a ‘divide and rule’ strategy, undermining Vietnamese unity by playing local mandarins, communities and religious groups against each other. The nation was carved into three separate pays (provinces): Tonkin in the north, Annam along the central coast and Cochinchina in the south. Each of these pays was administered separately. There was no national identity or authority. According to one French colonial edict, it was even illegal to use the name ‘Vietnam’. Profit, not politics, was the driving force behind the French colonisation of Indochina. Colonial officials and French companies transformed Vietnam’s thriving subsistence economy into a proto-capitalist system, based on land ownership, increased production, exports and low wages. Millions of Vietnamese no longer worked to provide for themselves; they now worked for the benefit of French colons. The French seized vast swathes of land and reorganised them into large plantations. Small landholders were given the option of remaining as labourers on these plantations or relocating elsewhere. Where there were labour shortfalls, Viet farmers were recruited en masse from outlying villages. Sometimes they came voluntarily, lured by false promises of high wages; sometimes they were conscripted at the point of a gun. Rice and rubber were the main cash crops of these plantations. The amount of land used for growing rice almost quadrupled in the 20 years after 1880, while Cochinchina (southern Vietnam) had 25 gigantic rubber plantations. 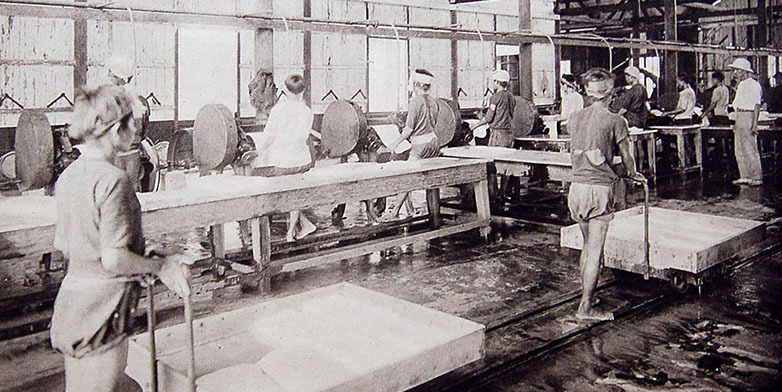 By the 1930s Indochina was supplying 60,000 tons of rubber each year, five per cent of all global production. The French also constructed factories and built mines to tap into Vietnam’s deposits of coal, tin and zinc. Most of this material was sold abroad as exports. Most of the profits lined the pockets of French capitalists, investors and officials. The workers on plantations in French Indochina were known as ‘coolies’ (a derogatory term for Asian labourers). They worked long hours in debilitating conditions, for wages that were pitifully small. Some were paid in rice rather than money. The working day could be as long as 15 hours, without breaks or adequate food and fresh water. French colonial laws prohibited corporal punishment but many officials and overseers used it anyway, beating slow or reluctant workers. 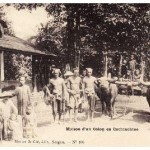 Malnutrition, dysentery and malaria were rife on plantations, especially those producing rubber. It was not uncommon for plantations to have several workers die in a single day. Conditions were particularly poor on the plantations owned by French tyre manufacturer Michelin. 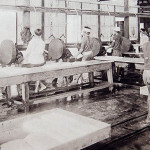 In the 20 years between the two world wars, one Michelin-owned plantation recorded 17,000 deaths. 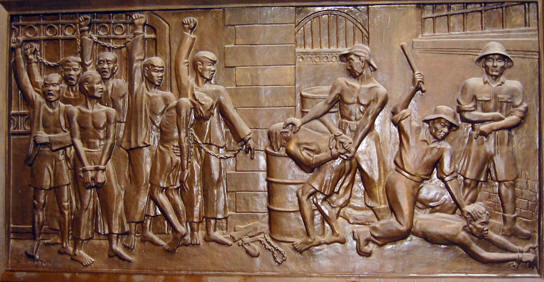 Vietnamese peasant farmers who remained outside the plantations were subject to the corvee, or unpaid labour. Introduced in 1901, the corvee required male peasants of adult age to complete 30 days of unpaid work on government buildings, roads, dams and other infrastructure. The French also burdened the Vietnamese with an extensive taxation system. This included income tax on wages, a poll tax on all adult males, stamp duties on a wide range of publications and documents, and imposts on the weighing and measuring of agricultural goods. Even more lucrative were the state monopolies on rice wine and salt – commodities used extensively by locals. Most Vietnamese had previously made their own rice wine and gathered their own salt – but by the start of the 1900s, both could only be purchased through French outlets at heavily inflated prices. French officials and colonists also benefited from growing, selling and exporting opium, a narcotic drug extracted from poppies. Land was set aside to grow opium poppies and by the 1930s Vietnam was producing more than 80 tonnes of opium each year. Not only were local sales of opium very profitable, its addictiveness and stupefying effects were a useful form of social control. By 1935 France’s collective sales of rice wine, salt and opium were earning more than 600 million francs per annum, the equivalent of $US5 billion today. Harnessing and transforming Vietnam’s economy required considerable local support. 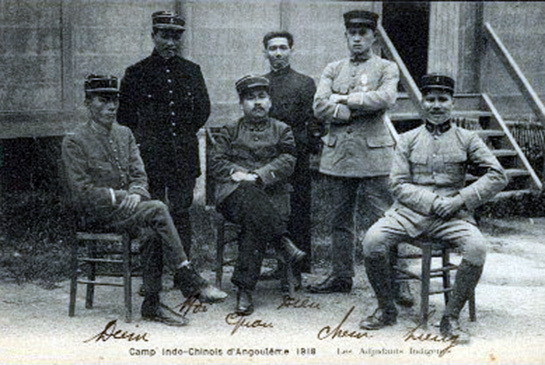 France never had a large military presence in Indochina (there were only 11,000 French troops there in 1900) nor were there enough Frenchmen to personally manage this transformation. Instead, the French relied on a small number of local officials and bureaucrats. Called nguoi phan quoc (‘traitor’) by other locals, these Vietnamese supported colonial rule by collaborating with the French. They often held positions of authority in local government, businesses or economic institutions, like the Banque de l’Indochine (the French Bank of Indochina). They did this for reasons of self-interest or because they held Francophile (pro-French) views. French propagandists held these collaborators up as an example of how the mission civilisatrice was benefiting the Vietnamese people. Some collaborators were given scholarships to study in France; a few even received French citizenship. Perhaps the most famous collaborator was Bao Dai, the last of the Nguyen emperors (reigned 1926-45). Bao Dai was educated at Paris’ Lycee Condorcet and became a lifelong Francophile. French colonialism did provide some benefits for Vietnamese society, most noticeably improvements in education. French missionaries, officials and their families opened primary schools and provided lessons in both French and Viet languages. The University of Hanoi was opened by colonists in 1902 and became an important national centre of learning. A small quota of Viet students were given scholarships to study in France. These changes, however, were really only significant in the cities; there was little or no attempt to educate the children of peasant farmers. The syllabuses at these schools reinforced colonial control by stressing the supremacy of French values and culture. Colonialism also produced a physical transformation in Vietnamese cities. Traditional local temples, pagodas, monuments and buildings, some of which had stood for a millennium, were declared derelict and destroyed. Buildings of French architecture and style were erected in their place. The Vietnamese names of cities, towns and streets were changed to French names. Significant business, such as banking and mercantile trade, was conducted in French rather than local languages. If not for the climate and people, some parts of Hanoi and Saigon could have been mistaken for parts of Paris, rather than a south-east Asian capital. 1. The French colonisation of Vietnam began in earnest in the 1880s and lasted six decades. The French justified their imperialism with a ‘civilising mission’, a pledge to develop backward nations. 2. In reality, French colonialism was chiefly driven by economic interests. French colonists were interested in acquiring land, exploiting labour, exporting resources and making profit. 3. Vietnamese land was seized by the French and collectivised into large rice and rubber plantations. Local farmers were forced to labour on these plantations in difficult and dangerous conditions. 4. The French also imposed a range of taxes on the local population and implemented monopolies on critical goods, such as opium, salt and alcohol. 5. French colonisers were relatively few in number so were assisted by Francophile collaborators among the Vietnamese people. 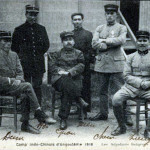 These collaborators assisted in the administration and exploitation of French Indochina. J. Llewellyn et al, “French colonialism in Vietnam”, Alpha History, accessed [today’s date], https://alphahistory.com/vietnamwar/french-colonialism-in-vietnam/.